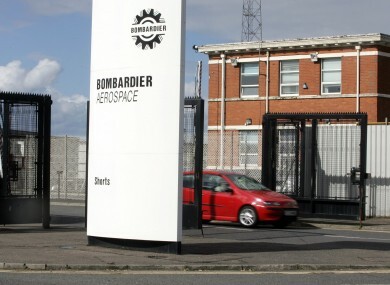 ONE OF NORTHERN Ireland’s biggest employers, Bombardier, has announced almost 400 job cuts. The company said in a statement that it is seeking up to 90 redundancies, while 300 contractors, temporary workers and members of the company’s ‘Complementary Labour Force’ “will be released”. The Canadian-owned aerospace and transportation company employs more than 60,000 people worldwide. We deeply regret the impact this will have on those affected and their families. East Belfast MP Naomi Long said it was a significant blow to the local economy. The fact the company is still committed to commencing 40 new apprenticeships next month, also indicates confidence in the longer-term about the company and its Northern Ireland base,” she said. Email “Almost 400 jobs to go at Bombardier in Belfast”. Feedback on “Almost 400 jobs to go at Bombardier in Belfast”.